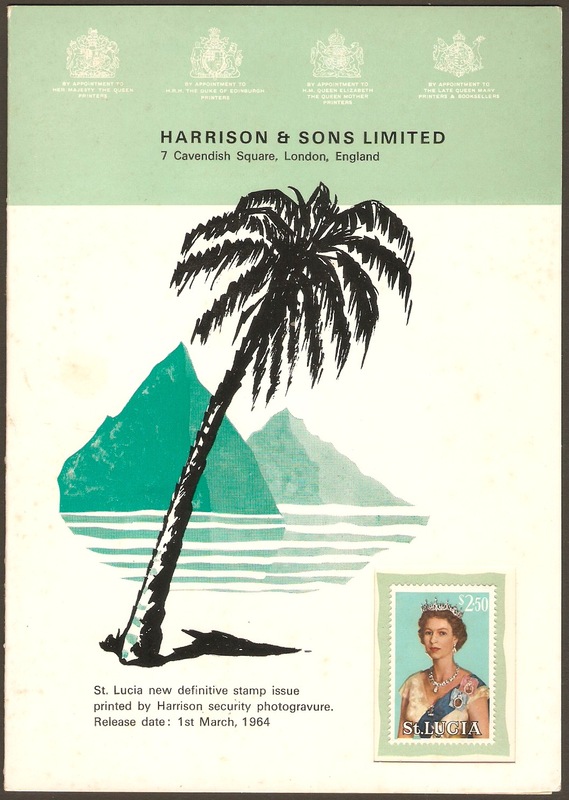 St Lucia 1964 Harrison's Publicity Card. 1964 Harrison's Publicity Card displaying the 14 stamps of the SG197-SG210 series. 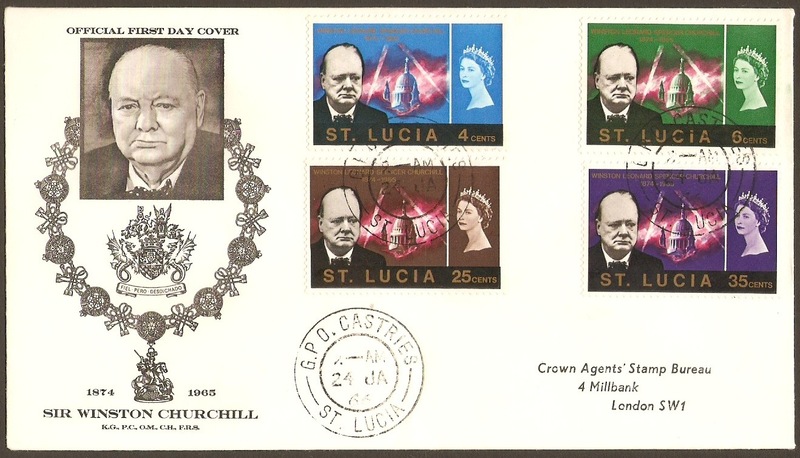 St Lucia 1966 Churchill Commemoration FDC. 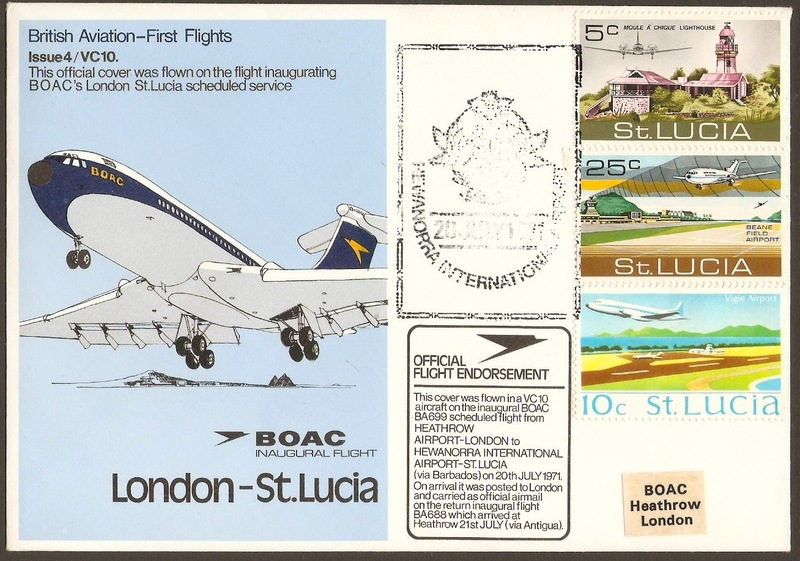 St Lucia 1971 BOAC First Flight Cover. 1971 BOAC First Flight Cover. Flown by VC10 on the inaugural London-St. Lucia flight. Displays 3 stamps, SG281, SG309 and SG310. 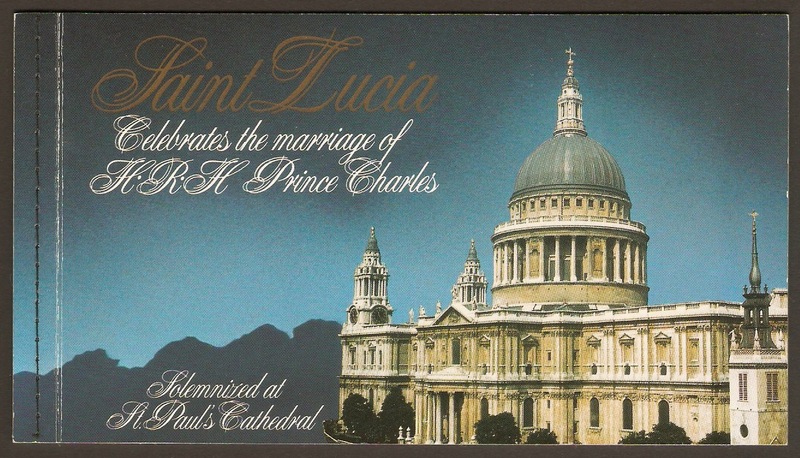 St Lucia 1981 Royal Wedding Souvenir Booklet. 1981 Royal Wedding Souvenir Booklet containing a block of 6 self adhesive stamps. 3 each of nos. SG580 and SG581. 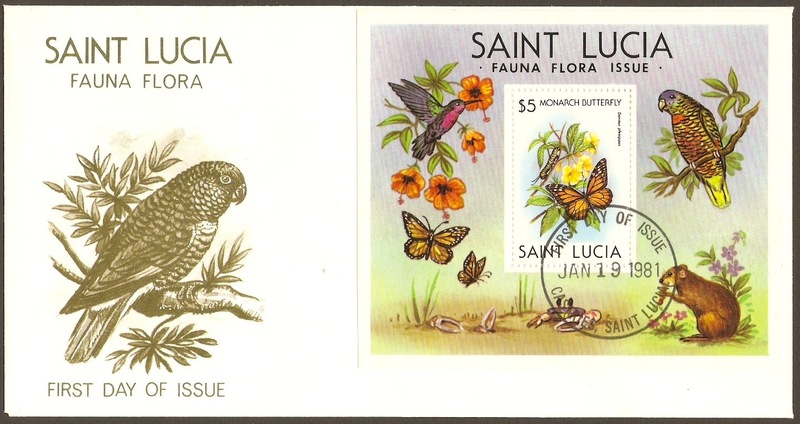 St Lucia 1981 Wildlife FDC. 1981 Wildlife FDC with SGMS575 dated 19 January 1981.